I'm not much for Christmas. I suppose after nearly 30 years of working in retail advertising, putting together ad campaigns for Black Friday, Christmas sales and year-end sales events, the holiday season has become something I just slog my way through. Deadline looming. Deadline met. I only come up for air around the first full week of January, taking a deep, deep breath and toasting the fact that I got it all done again for another year. So while you're celebrating, I'll be sleeping...and enjoying every wink. When I do let myself think about Christmas, my mind drifts back to a gentler time. 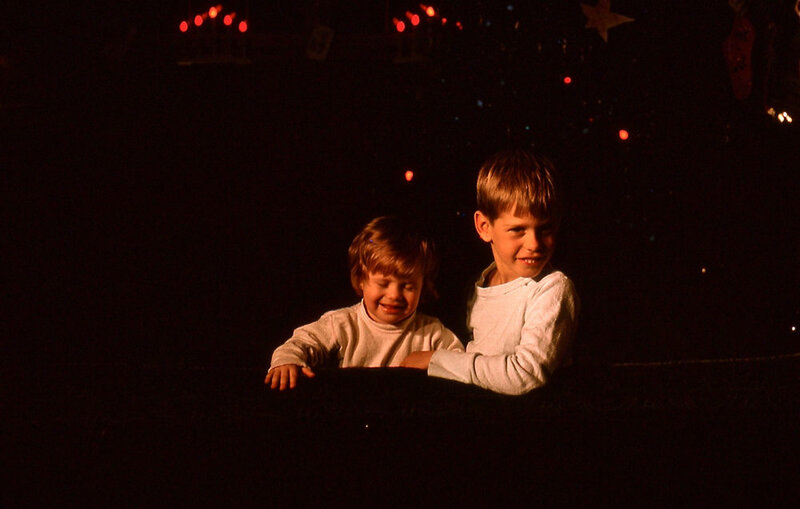 Here's my sister and I on a Christmas Kodachrome my father shot oh...in '65 or '66 I would guess.